The Western states of the U.S. are dotted with them—towns that are merely “ghosts” of what they once were—full of falling-down, abandoned buildings and few, if any, remaining residents. Most ghost towns were once thriving communities but, for one reason or another, all the people went away, essentially abandoning the town. Ghost towns from the mid-to-late 1800s that are still standing are of historical and architectural interest and are today a thriving tourist industry. A town being abandoned by its residents was usually the result of some calamity: the failure of crops; a disease that wiped out a large percentage of the town’s population; a flood, fire, earthquake, or windstorm that made the town unlivable; the failure of the business that was the town’s lifeblood, usually a mine; a rerouting of a road or the construction of a railroad away from the town that led commerce in another direction. Many of these towns sprang up as a result of the Gold Rush, and when the gold was depleted and the rush was over, all the people went away and the towns were simply no longer needed. On the plains and prairies of the Western states are literally thousands of these ghost towns. Some are dangerous and illegal to visit and are all but inaccessible. 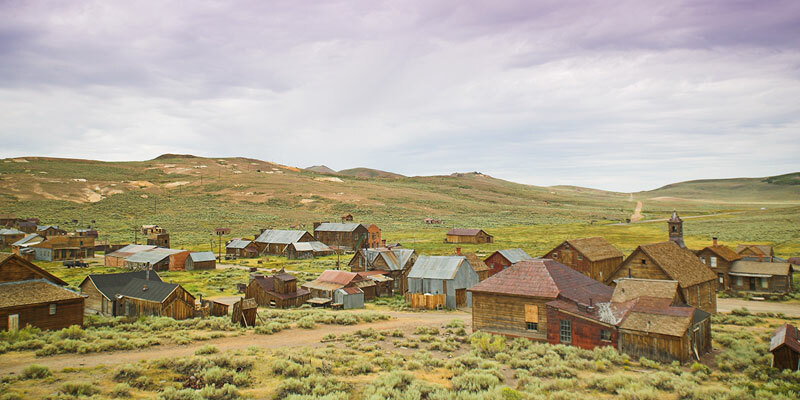 Some of the most famous ghost towns are Bannack in Montana, a well-preserved western town that is now a state park; Bodie, California; and Tombstone, Arizona. Some would argue that Tombstone isn’t a real ghost town since it has about 1500 permanent residents and is visited by tens of thousands of visitors each year. Movies such as “Gunfight at the OK Corral,” “Wyatt Earp,” and “Tombstone” have made Tombstone a household word.